Side-Line met up with Kim Ljung on September 9th at Haugarock, Tønsberg, where Kim works as an advisor for youth musicians when not active with his bands. 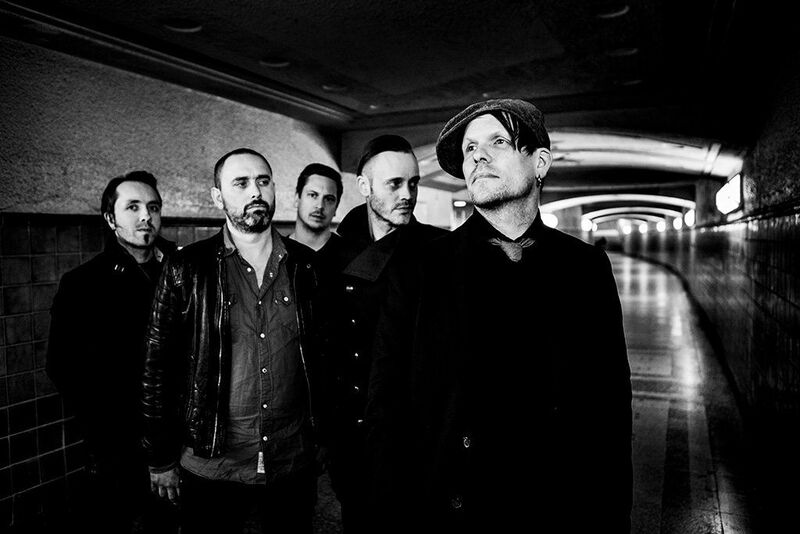 Side-Line: What is the difference from the previous albums – what has changed or is new in “Ikke alle netter er like sorte” (“Not all nights are all black”)? – Kim: The biggest difference from the previous releases is that Ljungblut has gone from being a solo project – with help from Dan (Heide) – to a strong, organic band, a unit. Moreover, just like the other bands I am a member of (Seigmen, Zeromancer), I can’t imagine that anyone could be replaced. We play very well together, and every time we meet, we have a calm and relaxed atmosphere without any stress involved. It becomes easy to practice and record when all the guys are in the same space, at the same frequency, and this became very clear on this recording session. We recorded the album at the legendary Athletic Sound studio in Halden during two weekends in February and March this year. We also brought in Alex Møklebust, who would mix the album afterwards and also acted as co-producer in order to influence the process. He was both impressed and shocked at how well it went! Did you practice a lot before the recording sessions? – No, not very much. We had a good experience last time when we recorded three songs live in the studio, and decided that this time we would do all songs live. It was a very pleasant album to record, and we had two incredibly nice weekends in the studio. All the instrumentation was done live, and vocals were laid on afterwards. Originally we would have done the recording much earlier as the songs were written several years ago, but we had to postpone due to two migraine periods and the Seigmen “Enola” release and tour. In retrospect, I think the record benefited from some maturing – had we recorded it in 2014, it would have been with other arrangements and other elements I would have changed in the meantime. Any upcoming concerts with new Ljungblut material planned? No, not yet, it’s been few Zeromancer gigs late summer and several Seigmen gigs this summer and autumn. I have become quite the juggler – I had decided not to be active in three bands simultaneously, but now I’ve ended up in the same mess yet again! We look at the possibilities for a concert early next year, mostly with material from “Ikke alle netter er like sorte”. Are there more Seigmen or Zeromancer releases planned? – Nothing definite at the moment. We are doing the Seigmen tour in the fall, and there’s the occasional offer for Zeromancer gigs, especially from Germany. Whether we accept depends on availability and health. We have said we will never tour with Zeromancer again, but rather make one-off shows and festivals. After the Zeromancer concerts this summer we received very good feedback. It is obvious that people have missed us, and when we also play so well together it’s still fun to get out on the road. There is a big gap between the three bands, and I’m quite proud that I am able to stay focused and sharp within each band. They all have something of the same “darkness”, but are three completely different types of bands nevertheless. Although the songwriter is the same, there are other people involved, which affects both the band’s expression and how we are making music. You get an outlet for different things in each band? – Yes, you can really put it like that … Especially Ljungblut is very personal to me, and that feeling just increases over time. With this release you have been very active on Instagram and Facebook, posted new video clips weekly of each song etc. How has the response been? – I think it has been very good! We don’t have many followers, but the feedback has been unanimously positive – this has been noticed, been heard and spread. Even got comments about this in Germany, and people asked when we came there to play! There are not that many who have done a video for each song, if any at all? That’s really is something I’ve wanted to do for a long time. I have friends who are working with film, but it really started on a train journey from Manchester to Sheffield where Lorry (Kristiansen) held his mobile phone to the window and filmed. “There’s the video!” I thought. The rest has come together as a mix of buddy favours and art, from people who want to give something back, and it shouldn’t cost anything. Especially my grandfather’s old Super-8 films have much soul in them, and fits very well with the music and mood. Has Ljungblut “inherited” many fans from Seigmen and Zeromancer? – It rubs off, yeah! Before Ljungblut started in 2005 there were some fans who either liked Seigmen or Zeromancer, but not both. Eventually the fans have discovered the strengths of the different bands, and have evened out over time. We also do not stress about getting fans, but rather let people discover us themselves. I’m so old-school that I like numbered limited editions of record releases, so there will not be much pressure to sell either. 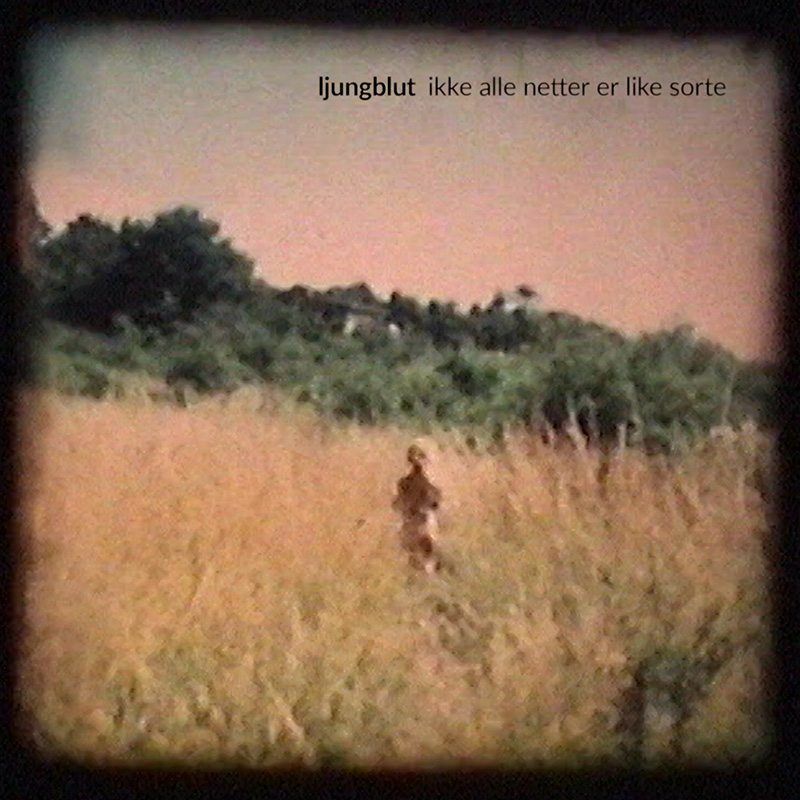 I like to think that I release music for the specially interested, and when I get feedback that the soreness and melancholy in Ljungblut hit a nerve with people, inspire them or help them, I feel I achieved the purpose of making music. This record can almost be regarded as therapy music without rules, with a steady atmosphere throughout the album, where all the songs are intertwined. The album title – an indication that things are getting better, that it’s not always so bad, or …? 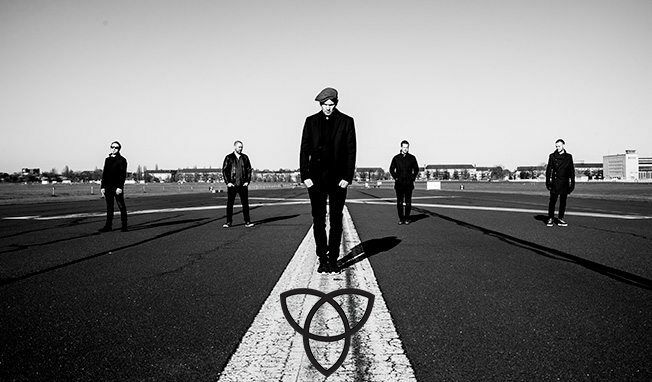 – If you look at the last album called “Over skyene skinner alltid solen” (“Over the clouds the sun is always shining”), some would probably say that was very positive! When the title “Ikke alle netter er like sorte” tumbled into my head, it fit nicely in as a sequel title. But to me life is still black/white, so it’s related to that aspect of my life too. I get so knocked out by strong migraines that I am unable to think logically and rationally for two to three days, and for a period of time it’s completely black. Then it’s “white” when the attack passes. I can laugh about how much it hurt the day before, and it’s almost like being born again. This may be part of the reason for my creativity – every time I’m out of the black hole there’s so much I have to catch up with. But it’s not great either, and if I could lose the migraine at the expense of creativity, I would probably have made that choice. It was great to receive the first 500 copies of the album today on CD, a good and liberating feeling to see the finished product and hold it in my hands, and we hope the vinyl edition will be equally good. The album is released by The Garden / Pleasuredisc and will be available in stores and online on September 30th. There will also be a release party for the album at the Barkaden in Tønsberg, Saturday October 1st – welcome!